Russian court partially grants appeal by ex-governor over seizure of $65.2 mln | Russian Legal Information Agency (RAPSI). 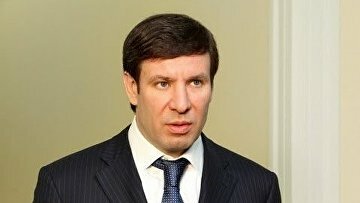 MOSCOW, August 7 (RAPSI) – The Chelyabinsk Regional Court has granted in part an appeal filed by Mikhail Yurevich, former governor of the Chelyabinsk Region, who stands charged with taking 26 million rubles (about $440,000 at the current exchange rate) in bribes, RAPSI learnt from the court’s press-service on Monday. The regional court introduced a ban on spending transactions involving Yurevich's seized bank accounts if their overall balance decreases to less than 500 million rubles, while previous ruling determined this limit at a rate of 3.9 billion rubles ($65.2 million at current exchange rate). Limitations on property such as four apartments were not changed. In May, the court ruled to detain the ex-governor in absentia. Investigators claim that Yurevich received bribes regularly. Their amount was estimated at 26 million rubles. Moreover, he allegedly instigated Oleg Grachev, who had been appointed to the position of the First Deputy Governor of the region, to spread libel about ex-chairman of the Chelyabinsk Regional Court Fyodor Vyatkin. 17:53 07/08/2017 The Chelyabinsk Regional Court has granted in part an appeal filed by Mikhail Yurevich, former governor of the Chelyabinsk Region, who stands charged with taking 26 million rubles (about $440,000 at the current exchange rate) in bribes.